The safest place for your child should be your home. However your home can pose a lot of threats to your littles, especially during their youngest years. 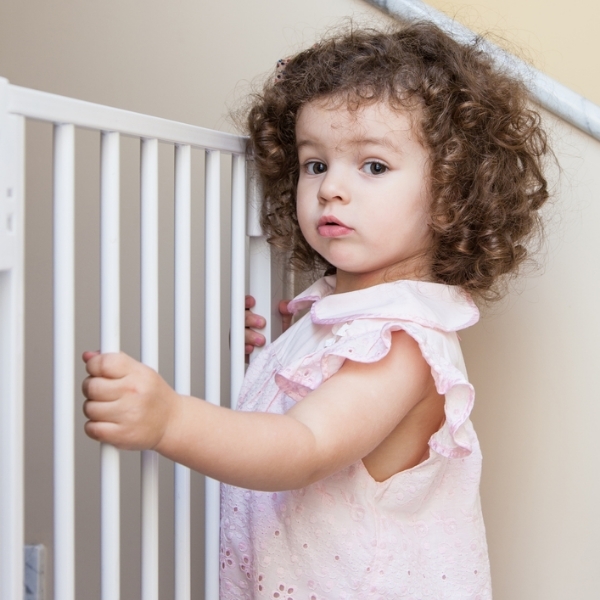 Whether you’re new parents or just welcoming a new addition to the family, here’s what you need to know when it comes to child-proofing your home. Look at your house through the eyes of a child. What would you do if you were a baby? Where would you like to go? What could spark your curiosity? What stuff can you put in your mouth? Try to note every possible risk. Remember, crawlers and early walkers can easily get into trouble anywhere. You'll be surprise you where toddlers can go, now that they can climb and open doors. They want to explore, and touch, and taste and feel. If it's out and exposed, it's a potential target for your little ones. Go through your house, room-to-room. Keep the following out of sight: sharp objects, electrical outlets, cleaning materials, and choking hazards. Sharp objects include obvious things like knives or scissors. But look at cooking utensils, gardening materials, office tools like letter openers, and cosmetic items like nail files—these should all be out of sight and out of reach. Electrical outlets should have plastic safety covers to prevent toddlers from sticking their little fingers into the outlet. This goes for exposed outlets and those hidden behind furniture. Again you never know when your toddler might end up behind the sofa or cabinet. Cleaning materials are one of the main poisonous materials that can be reached by your babies and children. These materials should be stored in a cabinet with locks or child-proof latches. Choking hazards include cords dangling from drapes or appliances, and anything that can fit in their mouths. Babies love to explore things with their senses as they discover them, and this includes putting things in their mouths. Babies and children can easily choke on small objects once reached, or get cords and strings wrapped around their necks. Balloon strings, coins, decorative rocks or marbles, jewelry, rubber bands, small toys, and hundred other things can all pose a threat. Here are some other essentials for childproofing your home. Secure your TVs, bookshelves, dressers, and other heavy furniture by tying it down or using furniture straps. Place corner or edge bumpers for those with sharp edges. Remember to always keep toilet lids down and secured with a lock. The toilet might not pose as a threat to you, but the water in it and the lid can be a danger. Make sure to always keep your floor tiles dry too. If possible, put a rug down to prevent your baby (or you) from slipping. Store all your medicines in a high and locked cabinet. Avoid taking your medicines in front of your child and never call it “candy”. Dispose of old medicines properly and make sure your children can’t reach it. The garbage can is another lure for toddles, with a lid to open and bang and a perfect repository for all of those important things (car keys, the t.v. Remote). Child-proof trash cans are available, as are special locks that make the trash can harder to open. Also consider turning trash cans with hingelids so that they face the wall and become less of a temptation. As a new parent, is is often overwhelming to think about all the potential hazards lurking in your home which can present a danger to your precious child. There are services available to help you determine the areas you need to consider for child proofing. Home Safe Home offers an in home assessment and child proofing services. Again, common sense and wachful eye will expose common threats. A little planning and preparation will ensure that your home is the safe environment it should be, and afford you some peace of mind, so you can enjoy more time with your little bundle.